Need some information to take back to your club? Not to worry! Download everything you need from the documents available below, to share with your board members, then print or email them! Prefer to receive some information by mail? If you are holding a District Conference or Multi-Club Training Seminar, contact us regarding our conference kit for distribution. Detailed ClubRunner Brochure outlining features, benefits, pricing, contact information, etc. Double-sided letter-sized brochure. Brief overview of features. Detailed pricing, terms and conditions. 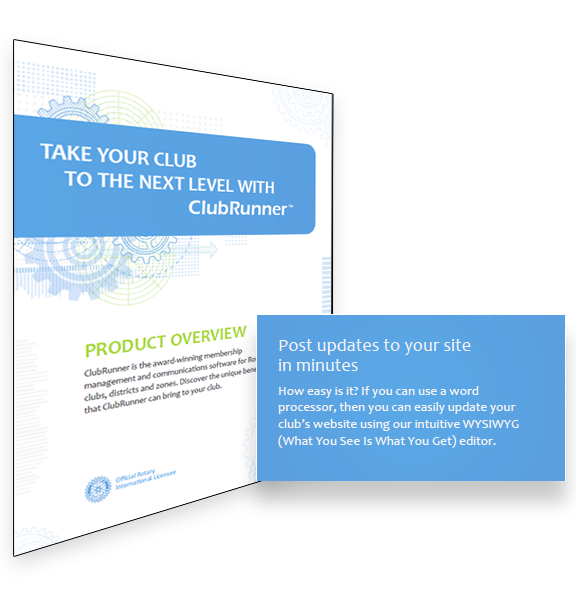 Overview of ClubRunner for clubs. Overview of ClubRunner for Districts. Double-sided document outlining the history of ClubRunner and benefits for districts. You will need Adobe Acrobat Reader to view PDF documents. 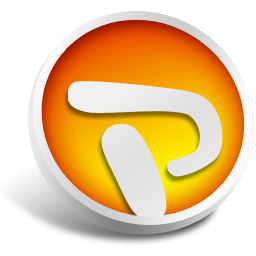 To download it free, click here. You will need PowerPoint Viewer to view the presentations. To download it free, click here.